It's no secret that the outdoors is a magical place, and in this day in age it's become well known that spending time outside and immersed with nature is good for the soul, body, and mind. This stands true for people of all ages, but it is arguably most important for children to grow up with their fair share of time exploring and learning through the great outdoors. We have already addressed why it's so important for kids to get out there, but now we tackle the topic of accessibility and how we can make it easier for children and their families to actually get outside to reap the rewards of Mother Nature. How can we make the outdoors more accessible for kids? This can go in two directions: children learning while outdoors, and children learning about the outdoors while outdoors. We're all for kids getting outside of the classroom to learn in nature, but for the purpose of this article we will be focusing on the latter of the two. It's nearly impossible for anyone to truly understand and to develop a passion for something that they don't know anything about. Without the opportunity to get outside, interact with, and learn about what is possible when in nature, people are unable to form an opinion on the matter. The same goes for kids, but the fact is that children are less likely to have the opportunity or means to break free of an otherwise indoor life and start learning about the world outdoors - especially in a time when electronics are of broad appeal and kids of every age these days spend the majority of their time in front of a screen. But iPhones and video games aside, there are many organizations around the country that are working hard to build after-school programs and engaging classes in the outdoors that are free to kids. Not only are children starting to learn earth sciences in the classroom, they are going out to the trails and parks in their own backyards and experiencing what many only see in textbooks. What's more, kids absolutely love it! National Park Trust's The Buddy Bison School Program: a national environmental youth education program that engages students Pre K through 8th grade from Title I schools with local, state, and national parks. Their goal is to cultivate future park stewards by bringing environmental education outdoors. Outdoor Alliance for Kids believes that all children and youth should have the opportunity to get outdoors, and through their Every Kid in a Park program, every fourth grader in America can obtain a pass for free entry for them and their families into more than 2,000 federally managed lands and waters nationwide for an entire year. National Wildlife Federation's Earth Tomorrow Program: an environmental education and leadership development program that aims to create opportunities for underserved youth and communities to develop environmental literacy while learning and honing life skills that will help them grow as individuals into the future. Leave No Trace for Every Kid Program: Likely one of the better known organizations on the list, many don't realize that LNT supports outdoor education for youths through education programs for all kids who spend time outside. It's one thing to get kid excited about nature and exploring the outdoors, but it's an entirely different task to bring a community outside. If there is one thing that makes the outdoors more accessible for kids, it's being surrounded by other kids (and families) who are getting outside with them. In combination with education opportunities outside, many of the same organizations from the above step are also creating events around getting people of all ages into nature - with a heavy focus on children. Built around fun and learning, these events popping up around the country make nature a place for everyone. We are lucky to live in a country that has and continues to value outdoor space and the good it brings to the people living nearby, which means that even communities in New York City or San Francisco are able to get out and enjoy a little slice of wilderness. National Park Trust's Kids to Parks Day: This is a national day of play that connects kids and families with their local, state, and national parks. Our Senate recently passed a bipartisan Kids to Parks Day resolution making the third Saturday of every May Kids to Parks Day. Mark your calendars because May 19, 2018 is coming up fast! This is where money really becomes a deciding factor. As many outdoor enthusiasts know, quality gear doesn't come cheap. And as many parents know, buying clothing for their children is a never-ending battle to keep up with growth spurts. So it's no surprise that when you try to bring your kids outside for adventures - anything from a hike in the woods to a day on the ski slopes - the tab over the years just gets that much larger. Rentals and thrift stores make this dilemma a bit more manageable, but in the end it is still incredibly expensive to keep your growing children outfitted and geared up for the elements of nature. Luckily, many brands within the outdoor space know this and are starting to do something about it. Whether cutting prices down to allow for easier access to quality gear or breaking the mold altogether by rethinking the way families purchase (and grow out of) their outdoor clothing, here are a couple of companies that are doing things right and helping to make the outdoors more accessible for kids. 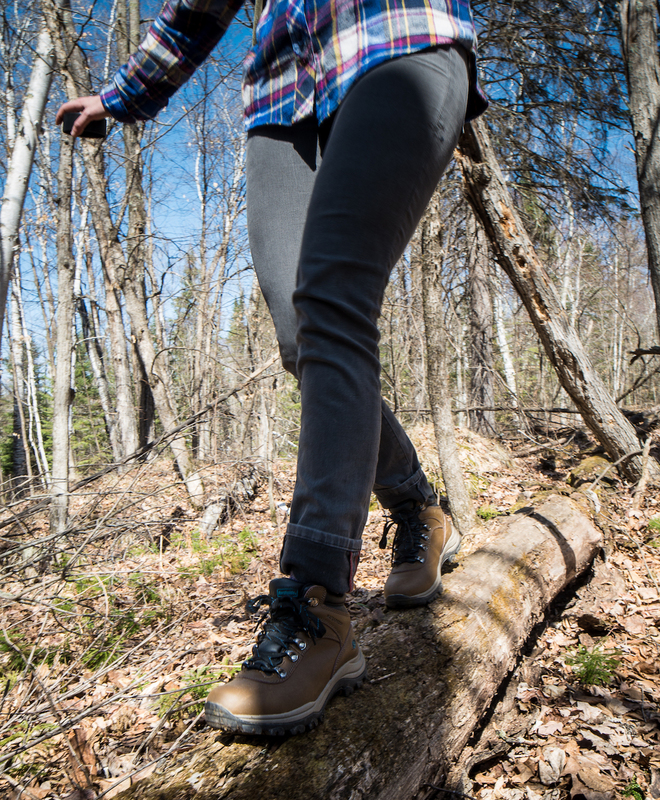 Northside Footwear: Have you ever wondered why a decent pair of hiking boots or ruggedized sandals have to cost so much? The great minds behind Northside have asked themselves that same question countless times, and they have taken the pledge to offer high-quality footwear for the family at a price that doesn't break the bank. Sure, you may not get all the 'bells and whistles' on your next pair of snow boots or trail shoes from Northside, but you will get "products built and priced with the features you actually need, to do the things you actually want to do." Littlest Sidekick Outfitters: While this company isn't quite to the point of selling their gear - see their Kickstarter campaign here - it's only a matter of time before you can buy reasonably-priced merino wool layers for your kids and participate in an awesome new program where you receive discounts as you size up and down over the months and years. So start looking around and do your own research; you're bound to find even more companies and brands out there creating more affordable products for children, coordinating local trail days with families in mind, or even offering free outdoor education to children in the nearby park.